3,937,515 Facebook Likes and counting. People love our offers, you will too! Montego Bay, Jamaica | What is the real name of this hotel? Regular Rate $1594 . Today Only $599! What is the real name of this hotel? 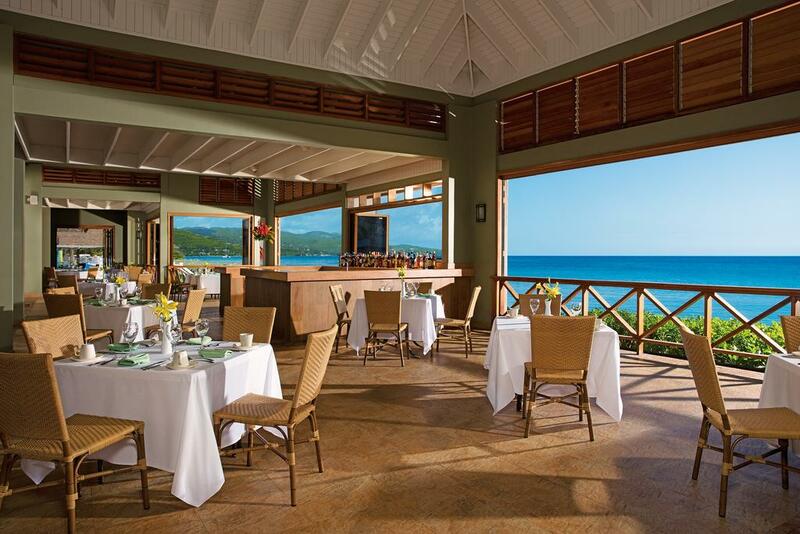 The Hidden Cove Resort offers an enhanced limitless luxury Caribbean escape, where everything is included. These charming beachfront accommodations, featuring 122 newly renovated rooms with chic decor and a Caribbean flair, are surrounded by Montego Bay Marine Park, Jamaica's fully underwater national park, on a private peninsula along a white sand beach. As well as enjoying full access to Ocean Splash Resort next door, where you will find dining, bars, lounges, and more, you will also receive special check-in and check out with concierge service, and a mini-bar refreshed daily. Kids will enjoy cartoons, milk, cookies and other special treats in their room. Eight dining options, seven bars and lounges, the Kids & Teens Club and Club, daily land and water activities, live music and local entertainment provide the ultimate fun for everyone! My husband, son and myself traveled to the resort for a week long vacation. I have nothing but great things to say about this place. It is very family friendly with enough activities and entertainment to keep everyone satisfied. The eight international dining options to choose from including a buffet, five a la carte restaurants, a grill and a cafe. Enjoy 24-hour access to food and beverage options, endless domestic and international beverages, fruit juices, soft drinks and snacks, and special kid's menus - all included in your experience. 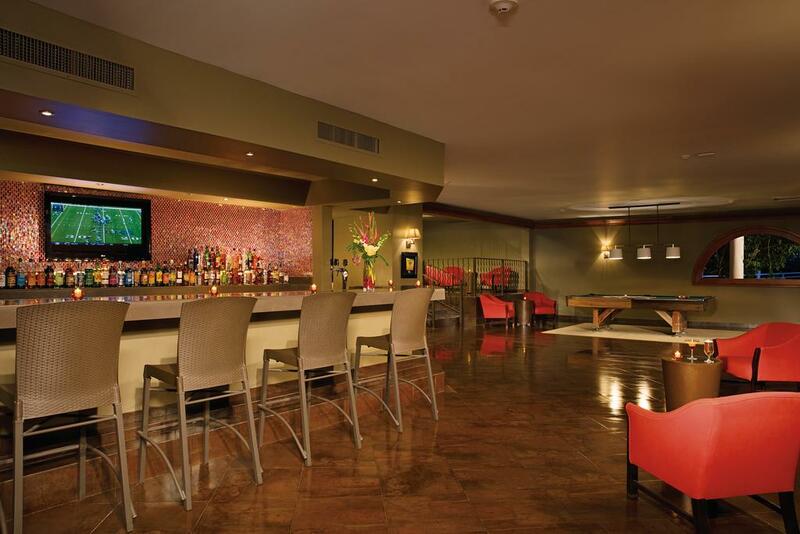 Located in the main lobby, this is the perfect place to relax and sip your favorite cocktail. Our main buffet restaurant serving breakfast, lunch & dinner daily with a variety of international favorites. This restaurant is close to the ocean, serving the finest from the ocean, sea food specialty restaurant in a very romantic atmosphere. Serving a la carte Mediterranean specialties. Open air oriental restaurant, serving Japanese specialties a la carte. Guests can relax in the sun or shade at the pool and swim-up bar while enjoying cool cocktails, natural fruit juice and soft drinks. Start your day enjoying a nice cup of our delicious fresh coffee, homemade pastries and sandwiches. Poolside open-air restaurant with full bar. Serves regional and international cuisine at lunch and dinnertime. BookVIP.com Made Everything So Easy! We spent 5 days and really enjoyed ourselves. We used Bookvip and got a great rate on our vacation! Thanks BookVIP for the greatest vacation we have had yet. We send over 500,000 families per year on discounted vacation promotions. We have an A+ rating with the Better Business Bureau and have more customer review videos than any other travel website in the world. We've had an amazing vacation. The location is perfect, the staff is perfect. We travelled for 1 week with our family of 5 and I must say that it is the staff that make this place great! The rooms are extremely dated but extremely well kept by the lovely housekeeping service. Towels were always in abundance, and if we needed more, it was never a problem. The kids enjoyed the bunk beds. The room itself was quite comfortable, nothing fancy but you could adjust the A/C as you like. For a family of five I would have preferred a larger room than the one we were given. Remember that there is no place like your own bed for sleep! The beds were not bad, comfortable?...not that comfy. Clean? yes. The staff made our room everyday and turndown service was offered every evening. The resort is under renovation but it did not disrupt our vacation. The only issue we had was that the Italian restaurant was an hour and a half wait to be seated (no reservations to be made that night). Not all the restaurants were available every night. We had most of our meals at the Terrace. The staff there are beyond lovely and helpful. Our children are very picky eaters and the staff always went out of their way to make sure they had what they wanted even if it was not on the menu...like pizza! A special thank you to the Terrace staff: Mr. Albert Jump who welcomed us every morning and lunch time and Mr. Andrew Jones both are exceptional managers, Peta Gaye, Judy Ann, Manley, Tessa, Carol and Omar for your amazing patience with us, your smiles and outstanding service, Our boys will always remember the pizza in Jamaica! The buffet was ok but found the service there to be lacking. We always had to ask for beverages and no one came around unless we asked. This was irritating for us in the mornings when we really needed coffee and had to wait until someone walked by to ask them. The food was average at best. The best dish we had was at the Italian restaurant. (don't order the wine in that restaurant! It's horrible!) The terrace food was also good but sometimes their entrees were not best. The chicken wing appetizer was our favorite at the Terrace. There is a grill that is open late but the selection is quite limited. Fast food like burgers, grilled cheese, jerk chicken and fries are available there. The beverages are really good...the bartenders mix a good drink, although the cups on the beach and the buffet are so small! The lifeguards at the pool were very good as well, especially one in particular (I'm sorry I don't know his name) would be at the bottom of the slide to catch the kids coming down! Our kids had a blast at the pool everyday. There is a lazy river and tubes are usually available. The front staff, Chrisann, Tanya and Owayne were extremely helpful and always made sure all our questions were answered. The Wi-Fi was hit or miss in our room but never a problem in the lobby. The gardens are immaculate and picture perfect. Gardening staff were always out keeping the grounds beautiful. The beach was not busy at all and we found spots every day without a problem. The Oasis side of the beach is quite rocky but it is better than the sunset side for snorkelling and exploring. The staff at this resort really made our vacation more enjoyable and relaxing. Hopefully we will return and see those familiar faces after the renovations are complete! We went in February 2015. My daughter loved the bunk bed. The room was right outside the waterpark. The ala carte restaurant menu was limited but the food was great. We ate almost every meal there. We traveled to the rest of the property and had drinks and pickies, but we mainly stayed at the area outside our room. We did not use the exclusive beach area, nor did we see others using it. It was far removed from the rest of the property. We liked the coffee shop at the buffet area. We loved the beach show complete with a fire dancer, it was incredible! I would not hesitate to go back there. Wonderful resort. My husband and I travelled to this resort on October 17 2015 our stay was only 4 nights, we can't wait to return :) the staff at this resort were all amazing. A little out dated but are in the process of renovations so hopefully when we return they will be complete. First time to Jamaica. Been going to the Caribbean for the last 13 years. The place was under construction, which we knew, but we still had a wonderful time. The rooms were small, but we only went in them to sleep. They kept them clean and having a stocked refrigerator every night was great. We had a beach view and it was amazing. The food was excellent, but based on previous trips to Antigua, etc, the menu choices were somewhat limited. The buffet, however was very good and there was lots to choose from, but if you got there too late, the desert choices started to dwindle. The grill is great. PRO-TIP: Ask for lots of jerk sauce on the chicken and your fries. The beaches were great. Stay in the sand when in the water though. You'll understand if you snorkel. Lots of sea urchins in the seaweed. There are three beaches - the main resort beach, the private beach for guests and the Au Natural beach. We pretty much stayed on the private beach and were the only ones on that entire beach for the 4 days we were there. The beach bar tenders will bring drinks to you on that beach and they are awesome! It was like (literally) having our own beach! Loved it! All in all it was a great experience. I think I've been somewhat spoiled by my other stays, but for the price, this couldn't be beat! Thanks to all the staff, waiters and bar tenders (Theresa, Lenworth and Carlos) - I'm sure I spelled at least one of those wrong. You guys were all awesome! The visit to this resort was wonderful! The people were very nice and helpful and the food was great! The only thing I would change about the visit is how short the time spent was. Special thanks to Renae Daley at the customer service desk and the snorkeling team who made the experience that much more exciting! She was amazing! We had an overall great stay at this hotel and the staff is excellent. From the first day to the very last they made our stay one that we will never forget. Nicois was our guide he made sure we were okay throughout our stay,made sure we knew the schedules of activities,when my luggage was misplaced by the airport for 3 days he made sure everyday we called to get it reaolved, he looked out for us the entire time. The ladies at the front desk, Tanya,Renae,shadae were all awsome these ladies kept a smile on our faces. The bartender Lenny was great best drinks! Owayne the bellman was great !the chef at the carribean restaurant was very nice and the food was excellent. As far as entertainment Nelson gave us a tour and showed us all of the events happening on sunset side,also Dominic in the entertainment dept made our stay so much fun from zumba in the water to his shows on stage, he was naturally funny and kept us laughing. Lastly Ms. Patricia on sunset side was lovely she has such a big heart and she cared for us our whole stay, all in all tge resort was beautiful but the staff made it a better place to be, they made us feel like family and we would definitely stay here again!!! When we arrived, we were greeted upon check-in with smiles and friendly staff. The room was not too bad. It wasn't luxury, but it far surpassed what I expected. The location was perfect because it was pretty much close to the hustle and bustle of Montego Bay. Several local attractions were within driving distance. What I liked best about was the superb staff. The whole staff was very friendly. They made me feel like I was a part of a huge family. "A wonderful week in Jamaica!" My wife and I just returned from a lovely week in Montego Bay. We had a perfect week (with the exception of one afternoon of rain), enjoying wonderful cuisine, impeccable service and clean comfortable accommodations. The beach was beautiful with plenty of beach chairs and umbrellas, the pools were lovely, also with an abundance of chairs and umbrellas. The food and service in the dining room was outstanding - actually all of the staff were fantastic. We really enjoyed our 15 minute private transfers to and from the airport. We look forward to heading back down to check out all the renovations the property is currently going through - should be spectacular when all is done. The property is located away from the major tourist traps of Montego Bay. It is quiet and the staff goes out of the way to fill your needs and desires. To say it is away from the tourist area isn't totally accurate because they do provide daily shuttles to the market, hip strip and shopping. I was there to relax and be away from the fast life. The staff made sure that I had everything I needed to enjoy my stay!
" We found the heart and soul of Jamaica in Montego Bay." Mr. E. Bloomfield (General Manager), it is visible why you were awarded the prestigious title of "HOTELIER OF THE YEAR!" You are truly a dynamic leader, your coaching skills are impeccable. Your staff shines like the sun, and sparkles like the stars, they are happy people everyday, smiling and giving the guest only their very best, job well done!! Lorna, thank you for a beautiful room, I have never seen such white linens in all of my travels. You are the true meaning of the word "hospitality!" Albert (Restaurant Manager), you are a perfect gentleman. Thank you for always extending your hands to us, as you welcomed us into your dining room. You were a joy to wake up to every morning! And last but definitely not least, Chef Conrad (Executive Chef), you are an unbelievable culinary creator, the flavors, the presentation, the taste exceptional and second to none. You spoiled us, thank you so much, the experience, definitely unforgettable. My husband misses you, he feels a loss, he is sad, probably because he has to eat what I cook now, the poor man!! Cook on Chef Conrad, keep creating, flavoring, and satisfying your guest, you are a diamond in the ruff. We have traveled to Jamaica many many times, and this will be the only property that we prefer for our vacation. You know the saying, "wherever I lay my hat, that's my home." Sending much love, and many thank yous, until we meet again, might be soon, it seems my husband is grieving for Chef Conrad, he just can't seem to get back into his routine with yogurt, fruits and whole grains. All of the staff are unique, special people, it is refreshing to vacation at a resort where the people genuinely care about you. Once again, thanks for your hospitality and the first class service!!!!!!!!!!!!! All the staff here works hard to ensure your stay is everything you want it to be. The resort is in the middle of a major upgrade and half of the rooms were closed for construction, very little noise was heard during our stay. The room we had does need updated but it was more than adequate and the beds were comfortable, A/C had to be adjusted as it actually got the room to cold at times and it was HOT outside the whole vacation. I read a lot about people worried about their safety in Jamaica, the security at this resort is up and moving/roaming all the time and aren't afraid to help you out if you need something. The vendors at the site stage are NOT pushy, if you just want to look just tell them that and look all you want. Probably one of the things that impressed us the most was that the operations manager was seen by us once or twice a day, everyday and in different areas of the resort. Sorry I can not remember her name, but it is nice to know she actually mingled with the crowd and explained about the resort construction and wanted to make sure everything was as it should be for everyone. The only thing holding back the 5th star in the rating is the need for updating of the rooms. (Can't wait to see it after the construction is finished) I would and do recommend this resort for all. My wife and I had a wonderful time at the 5 Star Montego Bay Beach Resort. The staff was very friendly and accomadating. The nightly entertainment and food was spectacular. We enjoyed the beach and the pool. Everything was relaxed and easy going. We're looking forward to going back in the near future. It was a well worth getaway. "Great Stay at 5 Star Montego Bay Beach Resort"
Stayed here for the weekend before meeting up with the rest of the family at Villa St. Elsewhere by the sea. Very nice view. Food was great and so were the drinks. I enjoyed the all inclusive festivities! 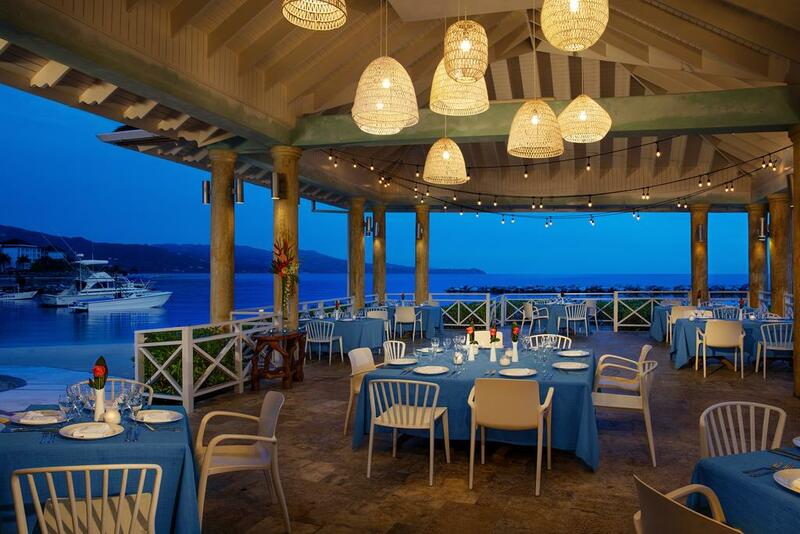 The staff, beach and surroundings make 5 Star Montego Bay Beach Resort an unforgettable stay. We got to know the staff by name! They remembered it was my birthday and made a special effort! The grounds are beautiful and there is pride in giving you an amazing experience. 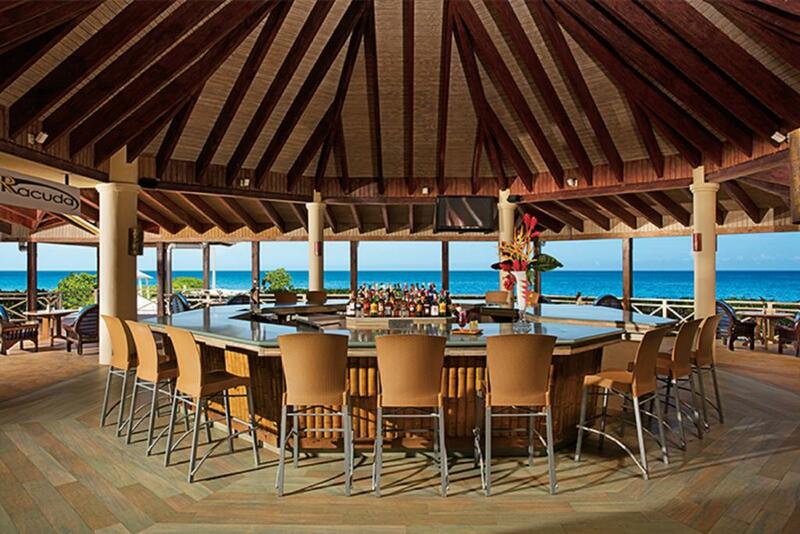 Beaches are warm, and the drinks are flowing! Sunset is going through a make over, and I'm curious to see the room upgrades (our room was clean, nice and not overly extravagant) A note about tipping - your tips for good service are appreciated. Staff seemed to prefer to be tipped in american cash (although Jamaican was okay too) discretely - palm to palm, not left on the table or given with a verbal remark. We stayed at the 5 Star Montego Bay Beach Resort from August 24th to August 31st 2015. We celebrated our 25th wedding anniversary there. There are truly no words for the unique experience we had there. It is true that the people of Jamaica are what makes Jamaica such a wonderful place to visit! We cannot say enough about the people, the service, the kindness, the food, and the love. We were truly treated like King and Queen. From the minute we stepped on the resort, the beautiful young lady Renae, the young man who came with the cool towellets and refreshing drinks, the porter Owayne who made us feel right at home, the young waiter Odane that served us, just to name a few, they all went above and beyond to make our wedding anniversary a memorable one!! The week flew by so fast! We had fun! We made friends that we will treasure! We will truly love to go back, the resort is pure paradise! The Jamaican people are amazing, and our newfound friends!! Regular Rate $ 1594 . Today Only $599!